A 6-month investigation reveals that the federal Bureau of Indian Affairs—tasked with negotiating the best possible deal for Native landowners—often makes it cheap and easy for outside corporations to exploit Native resources. As a result, corporations are able to drill, frack, farm and fell timber on Native lands, paying landowners little in return. Companies like Koch Industries and Walmart, however, reap huge profits. The “coyotes” included representatives of Western Refining, a Texas-based oil company. One of the company’s pipelines carries 15,000 barrels of crude a day from oil fields in the Four Corners region to a refinery near Gallup, N.M. On the way, the line crosses a 160-acre plot of Navajo reservation land owned by 88-year-old Mary Tom and dozens of her family members. Western Refining’s right of way expired in 2010. After years of negotiations with family members, the company invited just a handful of them, including Tom, to an October 2013 meeting at the El Rancho Hotel in Gallup. Once a watering hole for the elite, the inn boasts lavish cattle-baron décor: looming chandeliers, mounted animal heads and autographed photos of past visitors, such as John Wayne and President George H. W. Bush. The purpose of the gathering: Get the signatures needed to renew the right of way for another 20 years. The oil company’s representatives weren’t the only “coyotes” in the room that day, says Tovar, Tom’s niece: Also present were officials from the Bureau of Indian Affairs (BIA), the agency that manages 55 million acres of land the federal government holds in trust for Native owners. Tribes own about 44 million of those acres; individuals like Mary Tom own the rest. The BIA arranges business deals on Native land and is obligated by law to negotiate the best possible terms for landowners like Tom. But In These Times found that instead, the agency appears to make it cheap and easy for outsiders to exploit Native resources. At the 2013 luncheon at the El Rancho Hotel, BIA and company officials urged Tom to agree to the renewal, says Tovar. She recalls that a Western Refining employee told Tom she’d “lose out” if she didn’t consent to the deal, while a BIA staffer stroked her arm. Tovar, who is part of a group of family members that has fought the renewal, hadn’t been invited but attended at her aunt’s request. She says she was soon escorted out by a Western Refining representative. Speaking through a translator, Tom tells In These Times that she was distressed and confused during the gathering: “Even when we have a meeting in our own language, it’s hard to comprehend the issue. Someone has to explain.” She asked the whereabouts of other trusted family members, but they had not been invited either. Eventually, the family says, Tom gave in and signed, in return for a $2,000 bonus. That’s a huge sum on a destitute Indian reservation, but a drop in the bucket for Western Refining, a corporation with nearly $6 billion in assets. When businesses negotiate leases or rights of way, landowners often get a pittance in return. An Interior Department report shows that in 2015, 60 percent of Native landowners earned less than $25 from leasing and other land-related income. Some received as little as a few pennies. Meanwhile, access to the land is crucial to a host of companies and individual operators that drill, frack, farm and fell timber in Indian country. The list of companies that profit from access to Native land includes Koch Industries, Wal-Mart, Dollar General and many more. While the total revenue generated by these activities remains untallied, sales of oil, gas and coal extracted from Native land last year totaled over $5 billion. Native landowners are on an uneven playing field when they negotiate with corporations, and documents and interviews obtained by In These Times suggest the BIA does little to level it. While working closely with prospective lessees, the BIA appears to shut landowners out of much of the process, denying them information they need to evaluate corporations’ offers. And when landowners complain of harassment or foul play by corporations, the BIA may sometimes look the other way. 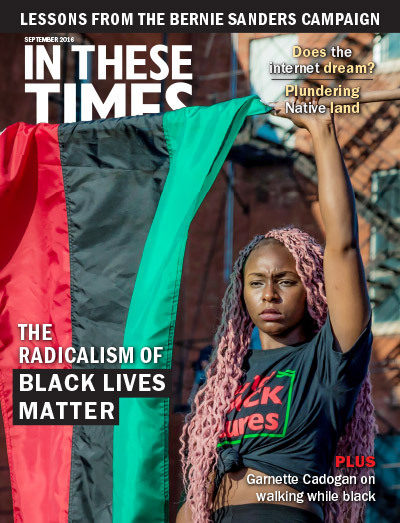 This reporting was made possible by a grant from the Leonard C. Goodman Institute for Investigative Reporting. These events are taking place in the 21st century, but they sound like something out of centuries past, when the federal government encouraged its Indian Agents and others to cheat Natives under cover of law. The Bureau of Indian Affairs (BIA) is the agency that manages 55 million acres of land the federal government holds in trust for Native owners. Established in 1824, the agency is tasked with promoting economic opportunity on Native land. The question is, opportunity for whom? The BIA arranges deals that allow outside companies and individual operators to use Native land and resources, but landowners believe they often get the short end of the stick. Soon after, Congress authorized leasing of allotted land to non-Natives, with federal agencies controlling the process and the proceeds. The “pulverizing engine” had disrupted traditional hunting, fishing, farming and gathering economies, and the weight of federal bureaucracy meant many Native landowners​ had—and have to this day—no choice other than leasing to outsiders to earn a living. Many remaining Native lands now sit atop valuable oil and gas reserves, and stories abound of giant corporations cutting questionable deals. A special congressional committee reported in 1989, following a yearlong investigation, that Koch Oil had for years been undertaking “sophisticated and premeditated theft” by deliberately mismeasuring oil extracted from Native land. Expert witnesses testifying before the committee described Indian country as “wide open” for theft. Native landowners also report being stalked and harassed by oil companies seeking their signatures. In a sworn affidavit, Mike Gopher told a court that, after the renewal process had begun for an oil pipeline crossing his land on the Blackfeet reservation in Montana, two oil-company agents pursued him down a highway and into his doctor’s office. He refused to sign, wishing to consult family. An agent came to his house. He refused again. Majority-Native counties regularly make it onto the U.S. Census list of the nation’s 10 poorest. The Federal Reserve Bank of Minneapolis reported in 2015 that tribal members’ average income countrywide barely topped $10,000, with unemployment averaging 50 percent. Natives have the nation’s shortest life expectancy, lowest education level, highest infant-mortality rate and greatest exposure to violent crime. With few or no businesses on reservations, tribes and tribal members also must look to border towns for goods and services. Why do Native landowners remain resource rich but cash poor? A big part of the answer has to do with the BIA’s role as a paternalistic landlord. Established in 1824, the agency is tasked with promoting economic opportunity on Native land. The question is, opportunity for whom? Tom co-owns a 160-acre plot of Navajo reservation land in New Mexico along with dozens of her family members. In October 2013, Tom, 88, was invited to a meeting at the El Rancho Hotel in Gallup, New Mexico with representatives of the Texas-based oil company Western Refining, as well as staff from the local BIA office. At the meeting, she gave her consent for the company to continue operating one of its pipelines across the family’s land for another 20 years. 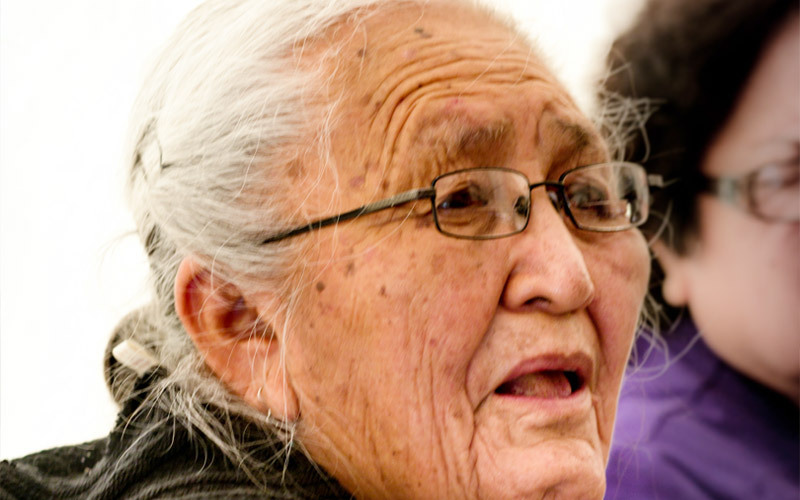 Some of her family members were never invited to the meeting, and say that the BIA allowed Western Refining to isolate Tom and pressure the non-English-speaking elder into signing off on the deal. “They were attacking my aunt like a bunch of coyotes attacking sheep in a corral,” recalls Tom’s niece Roberta Tovar, who attended the meeting before she was escorted out, she says. In recent years, Native landowners have shown in court that they were getting not just a raw deal, but a fraudulent one. While serving as a treasurer of the Blackfeet during the 1980s, tribal member Elouise Cobell discovered irregularities in the Interior Department’s accounting system for disbursements to Native people. In 1996, she became lead plaintiff in a class-action lawsuit that revealed improper records for more than a century’s worth of payments. Billions of dollars were missing. Documents had disappeared. “I have never seen more egregious misconduct by the federal government,” wrote U.S. District Court Judge Royce C. Lamberth. A $3.4 billion settlement for Cobell v. Salazar was reached in 2009. During the suit, a court-appointed investigator found that Navajos were getting $25 to $40 per rod (16.5 feet) for rights of way across their BIA-supervised trust land. Meanwhile, similar land off the reservation garnered 10 to 20 times as much. Terry Beckwith, a realty expert with ICC Indian Enterprises and a Quinault Indian Nation member, says that the BIA-supervised leasing and right-of-way processes make it easy to lowball landowners. For starters, the agency typically allows prospective lessees to hire their own appraiser to determine the fair market value of the land. That’s “a conflict of interest right there,” says Beckwith. Native landowners and advocates contacted by In These Times agreed. Court documents show that in Leona and Mike Gopher’s case, the oil company seeking a right of way performed an appraisal based on lower-cost agricultural use, rather than on industrial use, as would be expected for a pipeline, according to Sally Willett, a retired Interior Department administrative law judge and Cherokee tribal member who reviewed the documents at Leona’s request. The BIA manages an intricate leasing process, made exceptionally complex by the fact that some allotments have hundreds or even thousands of co-owners. This is a relic of the Dawes Act, which eliminated traditional Native means of bequeathing land—via the family or clan, for example. Instead, Native people were made subject to state laws for those who died without a will. A member of Montana’s Blackfeet tribe, Leona Gopher fought for years against a proposed deal for an oil pipeline right-of-way across her land. The oil company was offering $1,850 for 45 years of access—a figure that would be shared among 15 co-owners. Gopher struggled to get more information from the BIA, and eventually the deal went forward despite her objections. As a result, all eligible heirs inherited when an allotment owner died. With each generation, the number of owners multiplied, each owning his or her own unique percentage of the whole. That process is now called “fractionation.” When landowners are declared “whereabouts unknown,” the BIA can sign off for them. When an allotment has a large number of co-owners, the BIA has even more control. It can approve a deal even without the consent of a majority of landowners. Beckwith, who gives seminars for Native landowners nationwide to help them navigate the leasing process, says the BIA frequently fails to provide them with sufficient information. At one of his sessions, for example, Beckwith saw the oil lease of an attendee from the Bakken region in North Dakota. “It had a line, his name written under the line and the figure $47. ... So much was missing—terms and conditions, the exact location of the property and more.” Beckwith advised him and other attendees to rescind their consent and ask for proper agreements. Leona Gopher told In These Times about her five-year fight to get the information she needed to assess an oil company’s offer of $1,850, to be shared among 14 co-owners, for a 45-year pipeline right of way. The local BIA office told her to file a Freedom of Information Act (FOIA) request, then set Gopher’s tab for staff time and copying to complete the request at amounts that vacillated, but at one point topped $3,000—money Gopher did not have and that well exceeded her portion of the oil company’s offer. She took the matter to the Interior Board of Indian Appeals (IBIA), the Interior Department administrative court for Native claims. The court ordered the BIA to “complete the record.” Then, when Gopher used the completed record to raise her objections, the court told her she was too late: She should have raised them earlier. The deal went forward despite her complaints. The case of Mary Tom and her family offers a telling example of how the BIA appears to aid industry’s divide-and-conquer tactics. When Western Refining’s right of way expired in 2010, the large number of co-owners meant that the company needed to obtain signatures representing only half of the ownership interests in order to renew. In July 2010, the BIA signed off on the company’s renewed right of way. But a number of family members had refused to consent. They objected to Western Refining’s offer for the 48 co-owners of the property—a total of $6,656 total for 20 years’ access. Patrick Adakai, a retired federal official and nephew of Mary Tom, calls this “chump change.” In September 2010, Patrick and his brother Frank Adakai joined Tovar and other relatives in filing a lawsuit with the IBIA. They claimed that Western Refining had failed to obtain enough signatures and had gone after elderly, non-English-speaking family members (including Tom and her older brother) who couldn’t give informed consent. In January 2013, the court ruled in the family’s favor, saying that the BIA office had been “arbitrary and capricious” in approving the renewal. Western Refining went back for more signatures. Between April and June 2013, the company held four meetings with landowners—all while continuing to operate the pipeline, even though it no longer had a valid right of way. For these gatherings, the BIA sent letters to all landowners, letting them know the times and locations. By August 2013, Western Refining still didn’t have the consents it needed. That’s when the company pulled out all the stops, scheduling numerous gatherings, repeatedly requesting extra time and hiring other Navajos to track down family members. 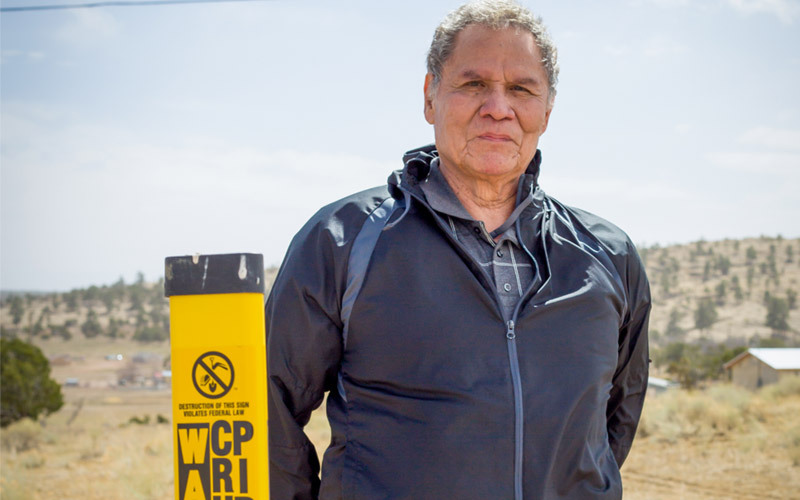 A retired federal official and nephew of Mary Tom, Adakai has opposed Western Refining’s terms for renewing its pipeline right of way. The company offered the family $6,656 for 20 years’ access, to be shared among 48 co-owners. Adakai calls this “chump change.” He also says the company has used under-handed tactics in its quest to ensure continued access to the family’s land, including going after the signatures of elderly and non-English-speaking family members such as Mary Tom. In September, the company wrote to the BIA of its plans to hold a luncheon with certain landowners whose consent it needed, including Mary Tom. Western Refining told the BIA it would like “as much as possible” to limit the luncheon to just the few family members whose signatures it was seeking, “and not other interest owners in the allotment or outsiders to that process.” Documents In These Times obtained via a FOIA request also show emails among the BIA staffers to plan a “pre-meeting” with the company. When asked about these communications, Nedra Darling, a spokesperson for the BIA, told In These Times that the BIA did not coordinate with the oil company ahead of the luncheon, or help prevent family members from attending it. At the meeting, Tom asked for her older brother and her nephew Patrick. Roberta Tovar phoned Patrick, who lives several hours from Gallup, and told him what was going on. Patrick immediately asked Tovar to hand the phone to a BIA official. No one would listen to him, he says. 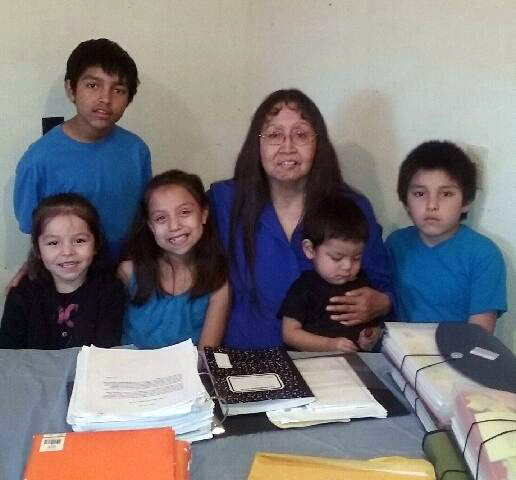 A group of family members, including the Adakais, later​ e-mailed Sharon Pinto, director of the BIA office for the Navajo region. They asked why some landowners had not been invited to the gathering and complained that the company was employing “bribes” to get consents. “We are concerned BIA officials and selected landowners are being wined and dined by Western Refining to persuade a signing of the …lease despite our repeated requests for re-review and evaluation,” they wrote. They asked for a sign-in sheet from the meeting. Pinto replied that the meeting “was called by Western Refining” and the agency did not get a copy of the sign-in sheet. Were landowners exhorted into signing? Darling says no. She claims the BIA was present on landowners’ behalf, “providing technical guidance” and reassuring them in the Navajo language. “At no time did BIA pressure anyone to sign or not sign,” Darling said. Tovar is adamant—her aunt was pressured. “That’s why I said they were like coyotes on a sheep,” she says. The BIA’s Darling claims that Native landowners need not use FOIAs to obtain their own “trust data or information.” But landowners In These Times spoke to, BIA documents and IBIA court decisions reveal that the Freedom of Information Act must often be used to obtain needed documents. Complicating matters further, since 2014 Western Refining has brought two federal lawsuits seeking to resolve the situation. One seeks to condemn the family’s land, a technique normally used by governments to gain access to land needed for the public good. The other sues the Interior Department, seeking to reverse the IBIA’s unfavorable rulings. Citing the pending litigation, the company’s press representative, Gary Hanson, declined to comment for this article. Terry Beckwith says that what Native landowners want is simple: “We want to protect ourselves and our land, and maximize the money we can make on it.” He notes basic problems that need fixing—for example, some of the most cursory BIA forms date to the 1940s and 1950s and are still used today. He says they should be updated and expanded to include the purpose and time span of the agreement, remedies in case of damage to the land, such as an oil spill, and other necessary items. One solution is to return control of land and resources to tribes, reversing some of the worst effects of allotment, including fractionation. The federal government, which once wanted to “pulverize” tribes, has in recent decades flipped the script, instituting regulations to give tribes more say in their own leasing deals (this does not affect individuals’ agreements, which are still fully subject to the BIA bureaucracy). Meanwhile, buyback programs, including the 2010 Cobell settlement, have helped tribes rebuild their land bases by funding the purchase of tribal members’ allotments. By 2015, tribes had regained and placed in trust 1.5 million acres via Cobell, according to the Interior Department. Some tribes are reconstituting their homelands their own way—and taking control of their own economic development. In South Dakota, the Rosebud Sioux Tribe operates the Tribal Land Enterprise (TLE), a land buyback program that long predates that set up by Cobell. Since its establishment in 1943, TLE has acquired about a million acres. TLE’s strategic purchases have facilitated the development of projects that make sense to tribal members, and that’s been a big part of the program’s success, according to tribal member and TLE director Ann Wilson-Frederick. These include a grocery store on a reservation where there are few, 600 units of badly needed housing and a wind farm. With more land available to Rosebud’s ranchers and farmers, they can increase production. The tribe can also put business and environmental regulations in place and choose to set aside land for spiritual and ecological reasons, adds Rosebud tribal member Wizipan Little Elk, CEO of the tribe’s economic development corporation and a former Interior Department official. Stephanie Woodard is an award-winning journalist whose articles on American Indian rights and other topics have been published by many national publications and news sites. She is also a contributing writer to Rural America In These Times.